Miley Cyrus is expected to bow on the Billboard Hot 100 on June 9. Currently atop the “Popular Chart” listing new music trending on Twitter, 20 year old Miley Cyrus returns with her first solo single since ‘Who Owns My Heart’ from 2010. ‘We Can’t Stop’ is co-written by the singer and Michael Williams, Timothy Thomas and Theron Thomas. Mike Will Made It produced the track which was unveiled at the 2013 Billboard Music Awards last month. Miley Cyrus described the song as ‘more funky and R&B, pop’ saying it’s ‘infectios’ in an interview with Ryan Seacrest. 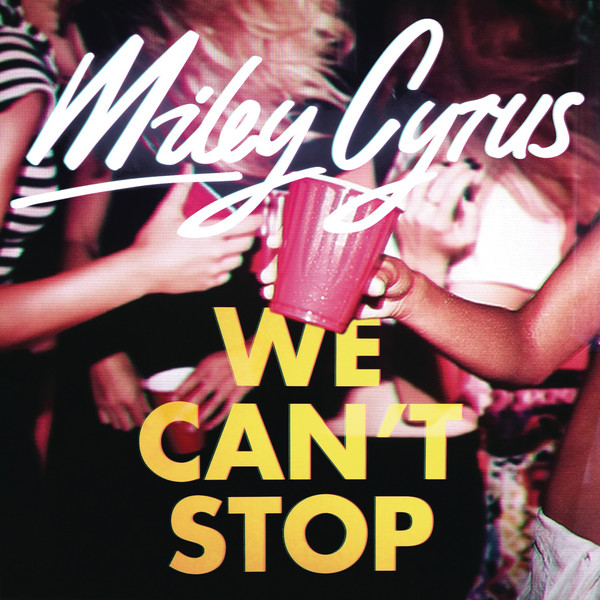 ‘We Can’t Stop’ was also premiered on Ryan Seacrest show on June 3, 2013. Expect the track to chart on the Billboard Hot 100 in the coming week with expected sales of 180,000 to 200,000. It’s the first Miley Cyrus record released by RCA Records, previously being signed to Hollywood Records. Despite not having put out any solo material, Miley Cyrus has been a frequent guest on other artists’ records. The artist formerly known as Snoop Dogg released ‘Ashtrays and Heartbreaks’ under the name Snoop Lion this April. The track is included on Snoop Lion’s set Reincarnated and debuted atop the Billboard Reggae Digital Songs on April 20. At the end of April, will.i.am featured Miley Cyrus on ‘Fall Down’ as well.